In today’s business world, a good website can make all the difference. As a matter of fact, the quality of your web design has a huge effect on the number of sales you make. Moreover, it affects how many customers you recruit and the number of clients you retain. What’s more, website design can affect your search marketing and SEO efforts, too. Today, online shoppers are looking for speed, convenience, and ease of use in the websites they shop from. So how can you improve your web design to increase your sales? Here are six web design elements that will improve your conversion rate. Most people won’t wait even a minute or two for a web page to load, even if they’re interested. According to a study by the Aberdeen Group, a single second of delay can decrease conversions by as much as seven percent. Fortunately, there are tools you can use to assess loading speed issues. Some of these include GTmetrix, Google PSI, Key CDN, Pingdom, Sacuri, and others. Visitors become annoyed when they have to click more than three or four links to reach the content they’re interested in. Make your site more user-friendly and attract more conversions by keeping your navigation links to a minimum. In web design, the negative space, or white space, is one of the most important features. This is the empty space on your site or web page. On the other hand, positive space features all the other elements. Additionally, negative space includes spaces between the content. This includes the spaces between paragraphs, lines, and letters. Providing plenty of negative space on your site improves readability as well as usability. To maximize negative space, use the right fonts, smaller paragraphs, and scannable graphics. Having a good balance of positive and negative space on your site is a key element of good web design. It will go a long way toward improving your conversion rates. Your website’s layout is another highly important feature as far as conversion rates are concerned. In most cases, visitors read website content in a left-to-right manner, scanning from the top to the bottom of the page. This means that the most visible sections to most people follow the shape of the letter F, focusing especially on the left side of the page. Therefore, place important elements such as calls to action (CTA’s) along these high-visibility lines. This website design element can help improve conversions. Color imparts meaning, mood, usability, and much more when it comes to website design. Moreover, the colors you use on your web pages can influence your web visitors’ emotions and therefore their actions and reactions. Choose a pleasant palette that conveys what your site is all about. Moreover, use contrast to increase the readability and visibility of important elements such as headlines, text, and CTA buttons. Images have a special effect on your intended audience when it comes to marketing. 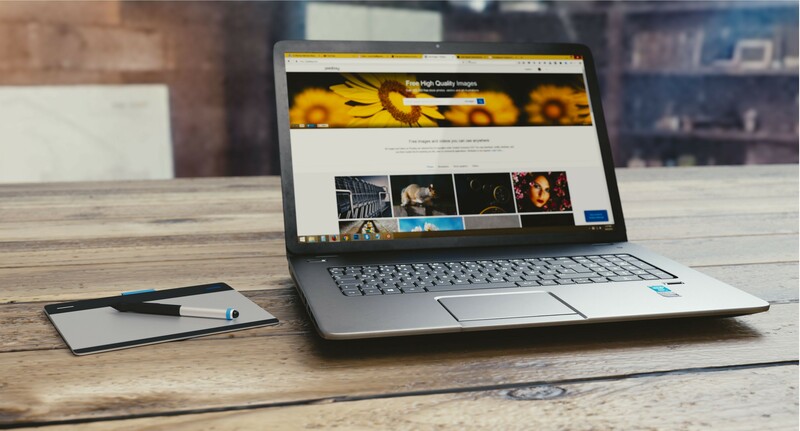 Moreover, a study by Bright Local found that search results with images are 60% more effective in increasing traffic than results without images. What’s more, they are 23% better at influencing visitors’ actions. Further, the use of images of human faces, especially on landing pages, is a highly effective website design element. That’s because the image of a human face captures attention and even produces empathy. All of this is good for sales conversion. These are only a few of the most important web design elements that can help you to increase conversions on your site. Next articleTraditional Advertising: Is It Important for Your Online Store?